I don’t know if I’ve ever been to a church that didn’t have an elephant or two in the room. Even the church I pastor has a few. They seem to be everywhere, sitting right in the middle of everything, acknowledged by everyone and addressed by no one. However, elephants don’t make good church members. They take up too much room and will eventually make a mess that might be impossible to clean up. David had an elephant in the room when he became King, and they were the Jebusites who still occupied Jerusalem. Everyone knew they were there, squatting on the hill that Abraham took Isaac to in obedience to God’s command to sacrifice his only son. But David, who wasn’t afraid of Goliath or lions or bears, certainly wasn’t going to let a nasty little elephant stand in the way of God’s desire to establish His name in Jerusalem (Deut. 12:5; 2 Chron. 6:6). How do you exit and elephant from the room of your church? Or your life? These are the points I used last week to address some of the elephants at Journey Church, and help people address their personal elephants – those things everyone (including yourself!) knows is there but no one wants to talk about. Perhaps they will help you. 1. Admitting it exists (2 Sam. 5:6). That’s just common sense. You cannot address an issue if you won’t admit it exists. But many people won’t. King Saul didn’t. If you don’t think you have any personal elephants, ask your friends or family. You might be surprised at their answer. 2. Ignoring its taunts (2 Sam. 5:7). 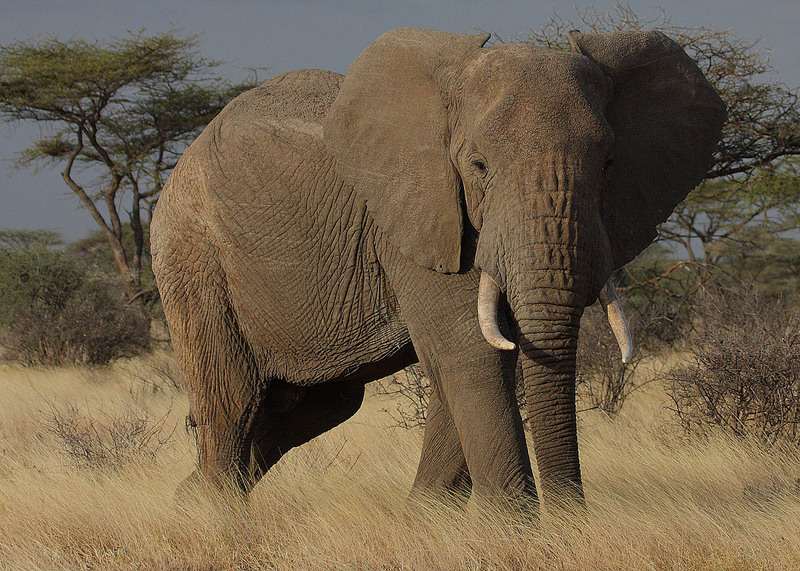 Elephants can be loud and noisy. They walk on padded feet, but when they start to make noise, the trumpeting is not something you want to listen to all day. The Jebusites told David even the blind and lame could keep him out of Jerusalem. Elephants will taunt you with an element of truth mixed with a lot of lies. Your elephant is probably right in the middle of your territory. It looks impregnable. It mocks you. It says you will never overcome it. It says you are so weak that two people, one blind and one lame, could defend it from your efforts to overcome it. Ignore it. Remember that Jesus said, “Here on earth you will have many trials and sorrows. But take heart, because I have overcome the world” (John 16:33). 3. Hating its presence (2 Sam. 5:8). It has been said that if you are truly going to be a sold-out follower of God and His ways, then we must learn to love what God loves and hate what God hates. Too often, however, we get that all backwards. We decide we like something so we figure God must like it too, or we decide we hate something and make it something God hates. Then we take those things we like and hate to church and try to get people to comply with what we like and don’t like. But it doesn’t work that way. We need to follow God’s lead. Elephants touch everyone who comes in contact with them. And you will not deal with the elephant if you don’t truly hate it. If you are mildly irritated with something, like a little cough or lukewarm coffee, you’ll keep going as you are without change. But if the cough turns to pneumonia and the coffee cup has green fuzz forming on the edges, you’ll deal with it. Do you hate the elephant that is directing things that are contrary to God’s love for you and the people of God, or are you just tolerating the sins you see because they are not big enough to deal with? 4. Removing its influence (2 Sam. 5:7, 9-10). It is interesting how such a quiet, gentle-looking elephant can exert such tremendous influence in our individual lives, our relationships with other and even in the life of our church. Why? Because if an elephant is present then God is not truly Lord of that place or that situation. God chooses to be honored in the lives of His people, so that wherever His people go, He is there. However, God and elephants cannot inhabit the same place at the same time. David had to remove the influence of the Jebusites in Jerusalem before He could bring the Ark to the City of Peace. And you will notice he did not do it alone. Sometimes we can only remove and elephant with the help of others. This means you need to tell others about your elephant and seek their help. David could not remove the Jebusites by himself. And sometimes we cannot either. Where there is an elephant there is no peace. But when we exit the elephant, then the peace of God can finally reign and we can live in the wonderful freedom God wants us to have. 5. Replacing its power (2 Sam. 5:10). But we can only do this when we are willing to admit there is an elephant, ignore its taunts and hate its presence enough to attack it as God sees fit. Then, and only then, can we finally replace the power it had over us with the presence of God. When the thought of a person, a habit or a relationship has us reacting in a way that does not line up with the Spirit of Christ, we can be sure we have not replaced the elephant with the power of the Holy Spirit. But when these things no longer bother us, we know we’ve removed the elephant. Verse ten says, “And David became more and more powerful because the LORD God of Heaven’s Armies was with him.” And that same presence and power can work in our lives, too. But only if we are willing to exit the elephant.